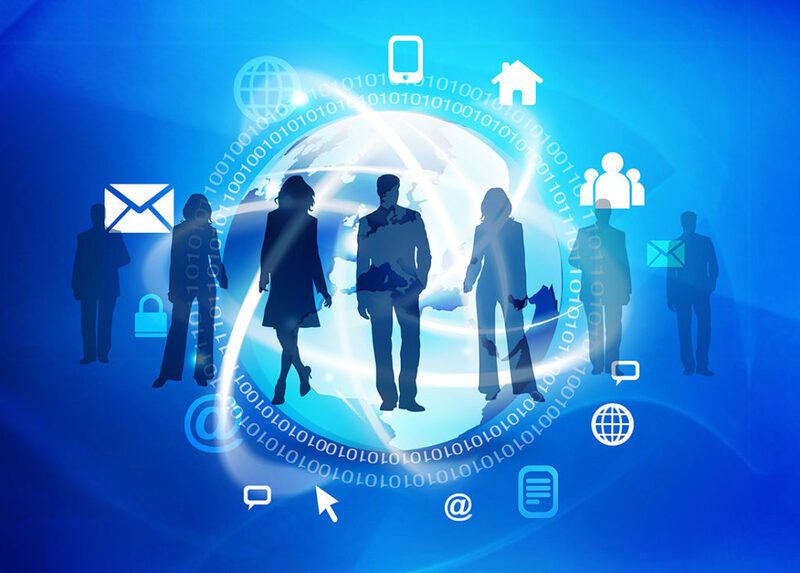 Can you envision how a portal could benefit your customers and/or employees? 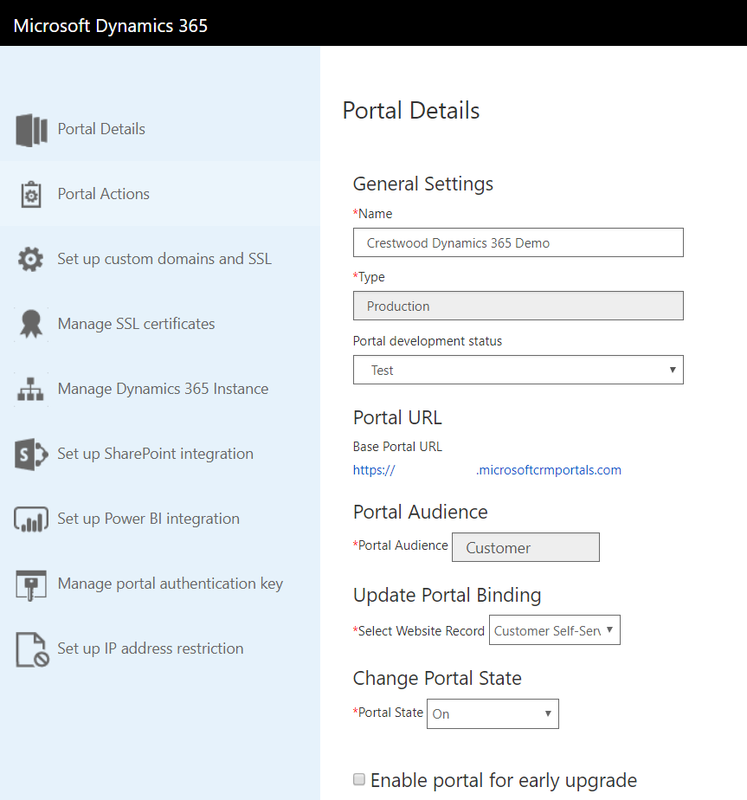 A portal comes free with any Dynamics 365 Enterprise subscription, don’t hesitate to utilize this tool! Want to set it up? 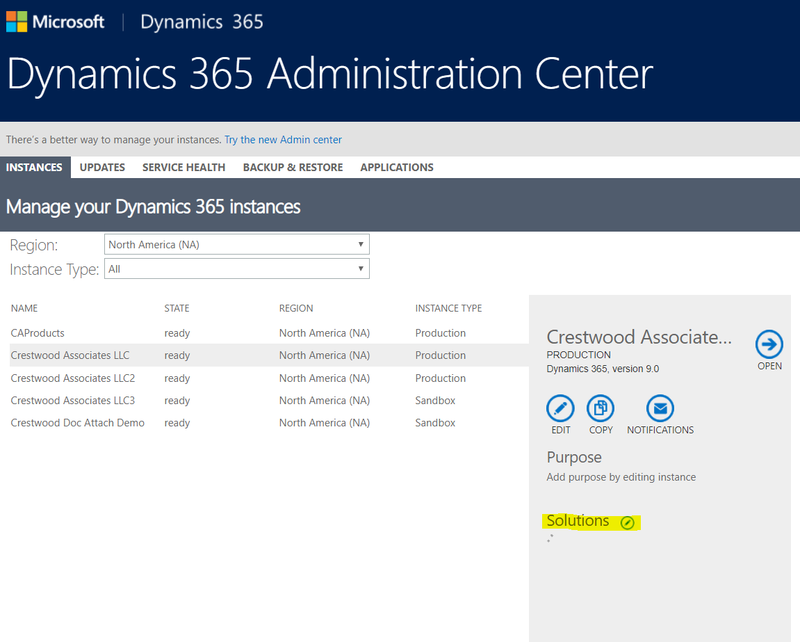 First, navigate to your Dynamics 365 Administration Center. Select the portal you want to install and then click on the Install icon on the right. Note: It can take a while to install, so check back within an hour or so. 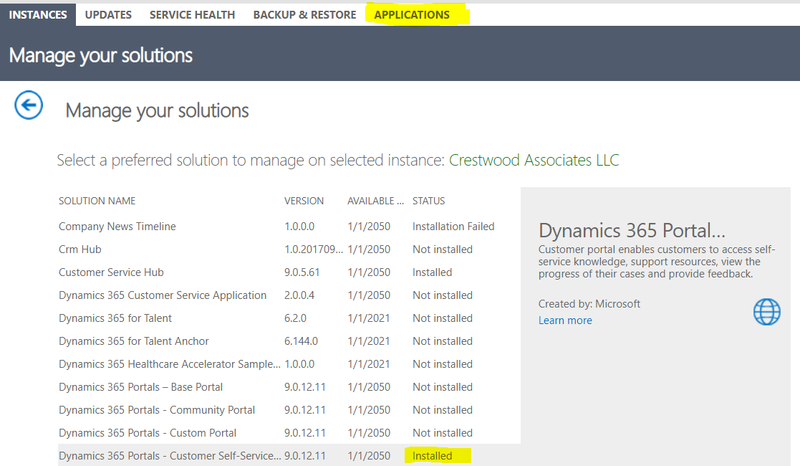 Once your portal status is set to “Installed,” navigate to the Applications section. Select the Portal Solution and then click the Manage icon. Within the Manage Portal section, you can find the portal’s URL. 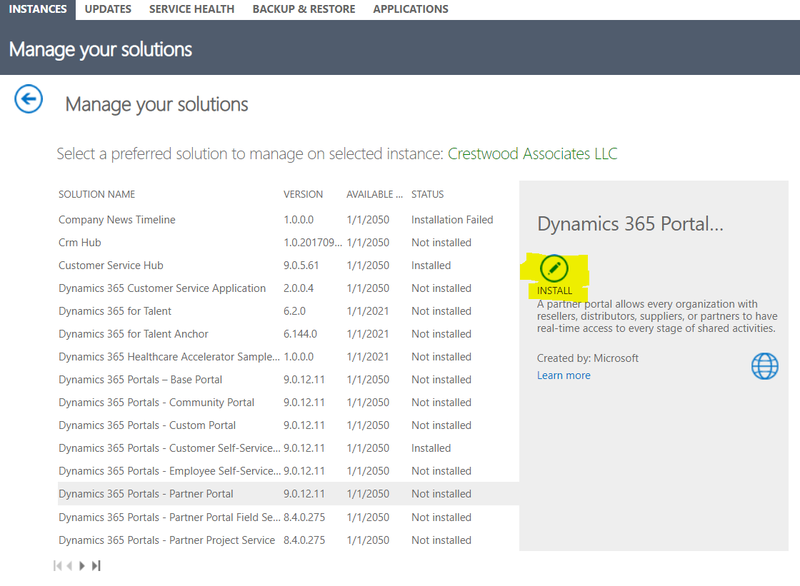 Navigate to it and ensure it is connected to the correct Dynamics 365 instance. Here you can also set up more advanced features like a custom domain or integrations to SharePoint and PowerBI. It’s that simple! For a specific example of how portals can be leveraged for customer engagement, check out this post from Microsoft! 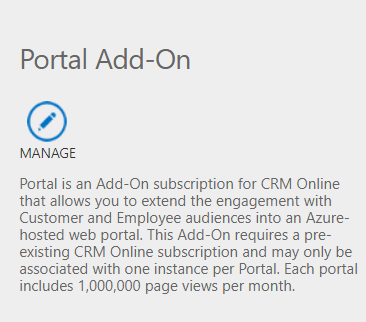 Preview your custom portal today and take advantage of this awesome tool!